Shipping software helps businesses coordinate and streamline their outgoing shipments to customers with features such as comparative carrier pricing on shipments, bulk editing and printing of shipment information, and custom tracking and confirmation notifications. Following an outgoing shipment, shipping software lets users use photographic evidence and templates in order to manage order returns and documentation. These features have the potential benefit of improving and automating processes for future orders. Shipping software shouldn't be confused with transportation management software, which is dedicated to optimizing transportation loads and routes, or supply chain suites, the scope of which encompasses the entire supply chain process. Due to the nature of shipping software, it frequently integrates with e-commerce platforms and fleet management software. Shipping reviews by real, verified users. Find unbiased ratings on user satisfaction, features, and price based on the most reviews available anywhere. 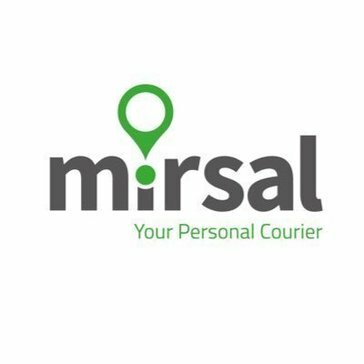 MIRSAL is an on demand delivery app. Multidrop Assist is bespoke software which automates the delivery logistics for home delivery providers. It does everything from taking an order to planning routes, printing labels, creating paperwork, sending out invoices and generating reports. It includes route planning software and even takes care of slot times and driver debriefs. Myfreight is an innovative Australian freight management company. Nexxship is a no excuses, get it shipping system. It is a global, multi-carrier, small parcel and LTL transportation solution that is built for the way businesses need to ship. NRGShip is a fully integrated UPS shipping for Mac. OnwarD is a complete Freight Management System designed to meet the demands of today's logistics companies. exaact spent hundreds of hours listening to customer's feedbacks and created a very user friendly piece of software. Orkestra Supply Chain Solutions (SCS) combines the multifold concept of end-to-end consulting and an innovative platform solution. The Orkestra global shipping platform eliminates the frustration of dealing with traditional freight forwarders plagued with aging technology, lack of visibility and control. ParcelVision is a cloud based logistics solution to manage deliveries. Pavin' The Way offers a fully hosted solution for our clients. The PTW software resides on our servers and processes your transactions within your database of information. This allows us to provide real-time updates as needed and no annual maintenance fees associated with your software. Pingdelivery allows to embed custom last-mile logistics functionality into any business whether it is e-commerce, local retail, cannabis, food or grocery vertical, laundry or next Uber-like delivery start-up. Postmen is the multi-carrier shipping API to get rates, print labels and submit manifests. Quantums professional resource pool has experience in designing the complete logic and functionality of a Liner Shipping ERP package in multiple modules, with complete connectivity and unique features. Rokits is a cloud-based, multi-user order management & shipment system, your dedicated software for seamless order processing and UPS shipping. SendFast provides robust logistics technology platform to e-commerce companies and online retails. Share a Refund gets all of the refund credits available within FedEx, DHL and UPS accounts. A comprehensive, 40-point audit is performed on each shipment, and actions are immediately taken to secure 100% of the refund credits available. Ship200 is Multi Carrier (Fedex, UPS, USPS, DHL) Shipping Software which allows businesses to print shipping labels in bulk (Bulk Processing) or individually (OneByOne Processing). It also integrates a process of creating labels directly into your admin/backend. ShipConsole, Cloud based Multi Carrier Shipping Software provides out of box integration with Oracle Transportation Management System and Oracle Warehouse Management System. Shipfusion is an e-commerce of fulfillment service with a warehouse, with integrations into e-commerce platforms including Shopify, Amazon, and Walmart. ShipitSmarter is a shipment management tool used to book shipments at multiple carriers, both parcel, express, road, air and ocean. ShipitSmarter offers you the options to enter all data, either manual or via interface, select the right carrier and book the shipment at the carrier of choice, including service levels and label printing. ShipKaro is a StoreHippo initiative that aims on offering fast, low cost and simplified logistics solutions by providing shipping aggregator services to eCommerce business owners. ShipLeaf is a cloud-based order fulfillment and shipping solution. Shippd is the easiest way for suppliers and retailers to make connections, grow sales and profit, and eliminate the headaches associated with drop shipping. Our export forms software is fast, accurate, and easy. A simplified shipping platform for retailers that helps them save money, save time and keep their customers happy. ShippyPro specializes in automating and streamlining the order fulfillment process for any e-commerce. ShippyPro is integrated with over 30 ecommerce channels and we solve the top three most time-consuming jobs for e-commerce companies. The aim of ShippyPro is to empower your business and solve all of your shipping problems with the best shipping solution on the marketplace. ShipRush Web streamlines shipping processes for small- and medium-sized e-commerce ventures so you can better serve your customers and spend more time growing your business. Shiptheory is an integration solution connecting businesses to carriers. ShipTrack is an innovative track and trace delivery solution designed to provide complete control and visibility of any shipment movement worldwide. ShipTrack enables vendors all over the world to provide customers with greater convenience, complete visibility, and control of their deliveries. SmartShyp is an online shipping software for eCommerce. SolidShip is a multi-carrier shipping system for verification, package distribution, and automatic labeling. Speed Commerce is a single-source provider of omnichannel fulfillment solutions and technology for retailers and manufacturers. StarShipIT is really nifty software that simplifies the process of delivering online (and offline) orders. StorePep is a complete shipping solution for E-commerce stores which provides Live shipping rates and expected delivery dates to customers at checkout, automate label printing process, provides customers with real-time shipment tracking updates and generates manifests and requests on-demand pickups. StorePep automatically chooses the cheapest shipping cost from different carriers. With support for WooCommerce, Magento, Shopify and Bigcommerce stores, StorePep is integrated with all top carriers like FedEx, DHL, Stamps.com, USPS, UPS, Canada Post, Australia Post and Delhivery. StorePep helps in importing orders from your store, update tracking details back to the store and change order status to completed. In addition, StorePep along with Dokan provides a complete Multi-Vendor shipping solution for Woocommerce stores. Sygic FleetWork is a mobile fleet & workforce management application for employee scheduling. Simplify scheduling and staff communication with Sygic FleetWork. TechSHIP takes the hassle out of small parcel shipping and optimizes fulfillment operations within a single application. Tive's combination of always-connected sensors and cloud-based software gives companies the visibility they need, enabling alerts, reporting, and analysis on their inbound and outbound shipments across all modes of transport. Instal this simple to use APP in to your Shopify store with a click of the button and start tracking the orders for your clients. Just choose a couriers you are using and receive the tracking number. TRAXENS delivers a precise and timely information on containers and container transporters. Hi there! Can I help you find the best Shipping solutions?